In homage to her hometown of Houston, Texas, Solange Knowles brings her fourth studio album, “When I Get Home.” It’s been almost three years since we’ve heard from the younger Knowles sister, and in her newest work, Solange pushes past conventional boundaries. The genre and mood of this album are hard to pin down. We get groovy and pop-esque beats in “Binz,” but in the next track, “Beltway,” Knowles gives a slow-rolling, vocal-driven sound. The lack of structure makes this album enigmatic and hypnotic. Much of “When I Get Home” is centered on repetition. Some of the tracks only feature a single phrase that is repeated so often that it almost becomes more of a mantra than a lyric. In an interview with Vogue earlier this month, Knowles discussed how repetition has contributed to her sense of self. “I think repetition at this place in my life has given me a lot of reinforcement … to my spirit, my mind and my body, and trying to align all of those things and really ground myself in them so that I really believe them,” Knowles said. Like her last album, this set of tracks features several interludes, including an intermission that divides the album almost in half. Though short and sometimes obscure, these interludes glue the project together. One in particular, “Nothing Without Intention,” seems to be a reflection of her message about the experimentation of this album. 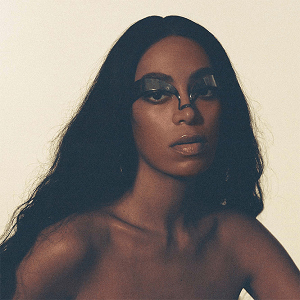 If any of the songs can be extracted and praised, it’s “Almeda.” Synthetic percussion rattles underneath Knowles’s dreamy vocals, and in a testament to black ownership, she sings of the perpetuity of black culture. This is not an album for casual listeners. The ethereal tone makes it feel raw and unpolished — almost unfinished. There’s none of the explicit storytelling that many audiences have been receiving from artists recently, and that’s probably what the 32-year-old was trying to accomplish. “When I Get Home” is more artistic than listenable. At first listen, it is difficult to understand what Knowles is trying to say, but that may just be the point. The fluidity of the meaning liberates listeners to interpret the arrangements and vocals in their own ways. It was a risk, but in the grand scheme of relatability and artistry, “When I Get Home” succeeds. Even though Solange created “A Seat at the Table” for herself with her last album, “When I Get Home” proves to be not a continuation but its own being. In Knowles-family fashion, Solange ignores popular music’s hit-making formulas to create something completely new.